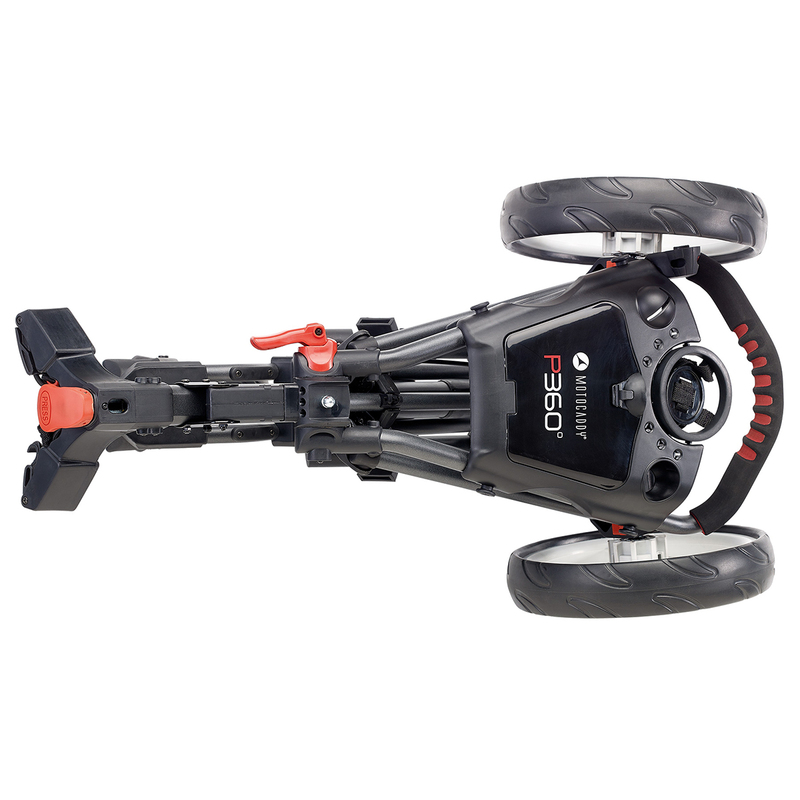 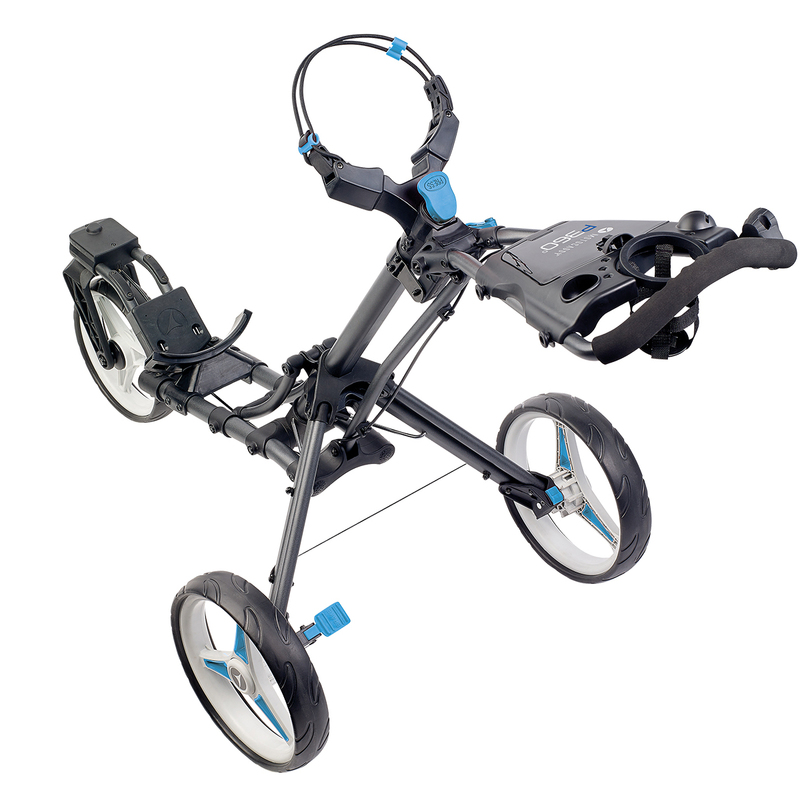 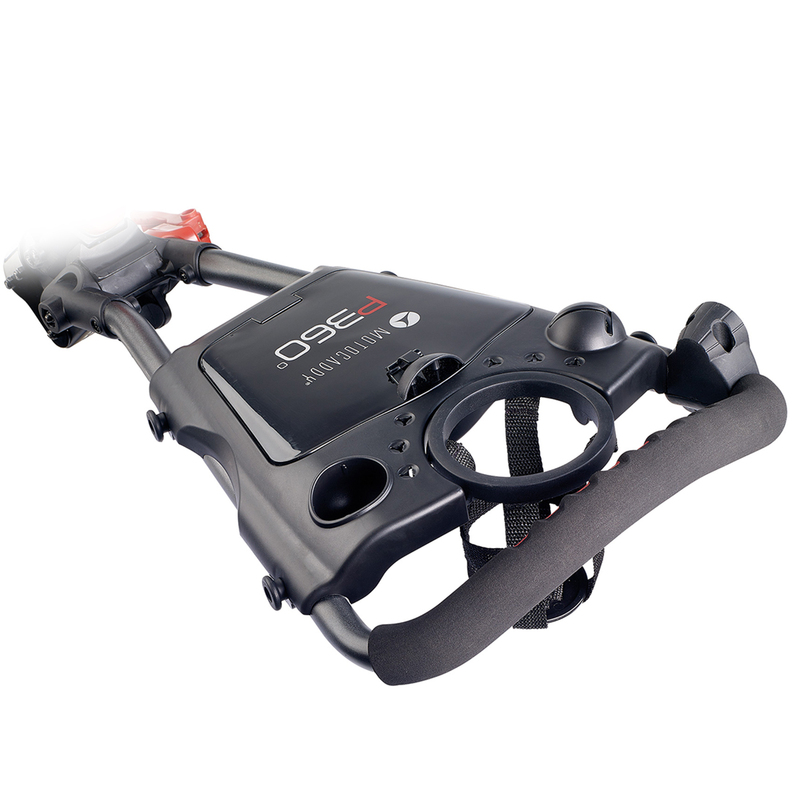 This sporty styled push trolley has a simple one-step folding with 360 degree front wheel for easy turning, and has plenty of features to keep the most avid golfer happy on the golf course. 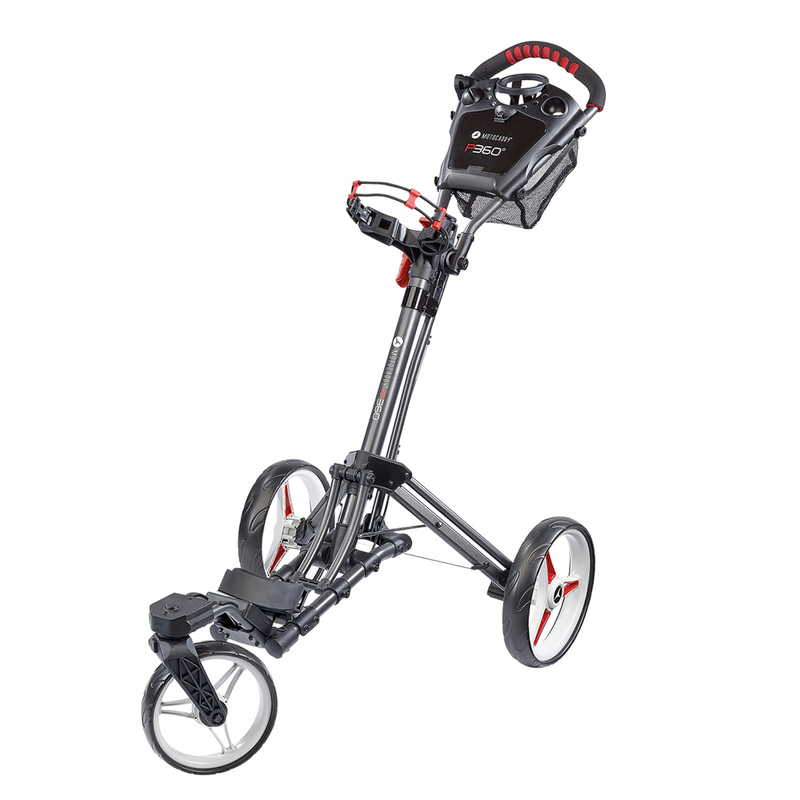 The trolley has an ergonomic handle which can be adjusted to suit your height, and has plenty of storage options available to hand. These include a drinks and scorecard holder, accessory compartment, tee and ball holders, plus a under handle storage net. 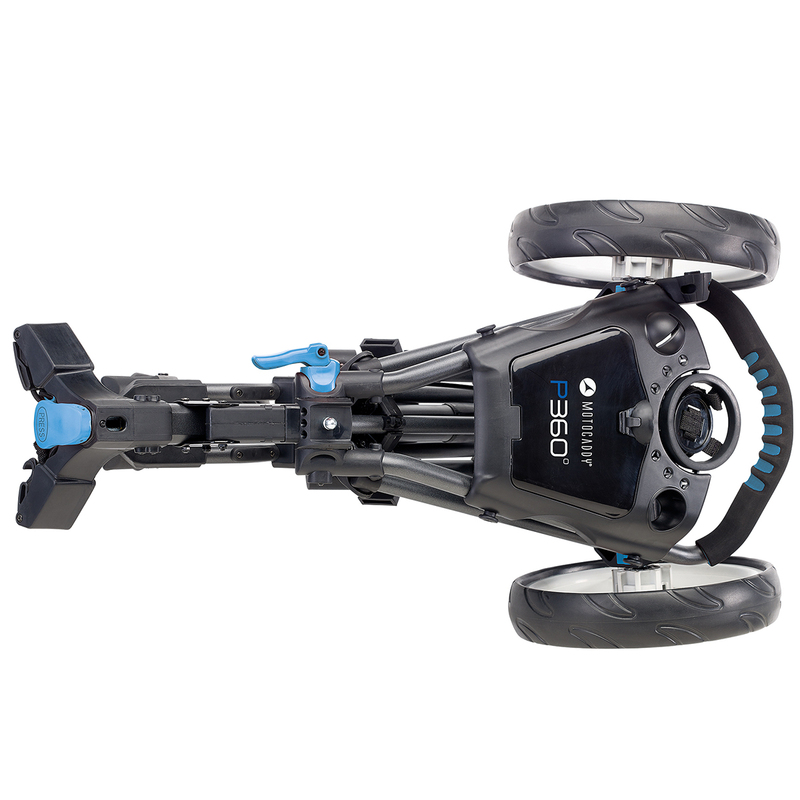 The trolley also features oversize quick release wheels with maintenance free rubber tyres, and has a foot parking brake for secure parking on steep slopes. 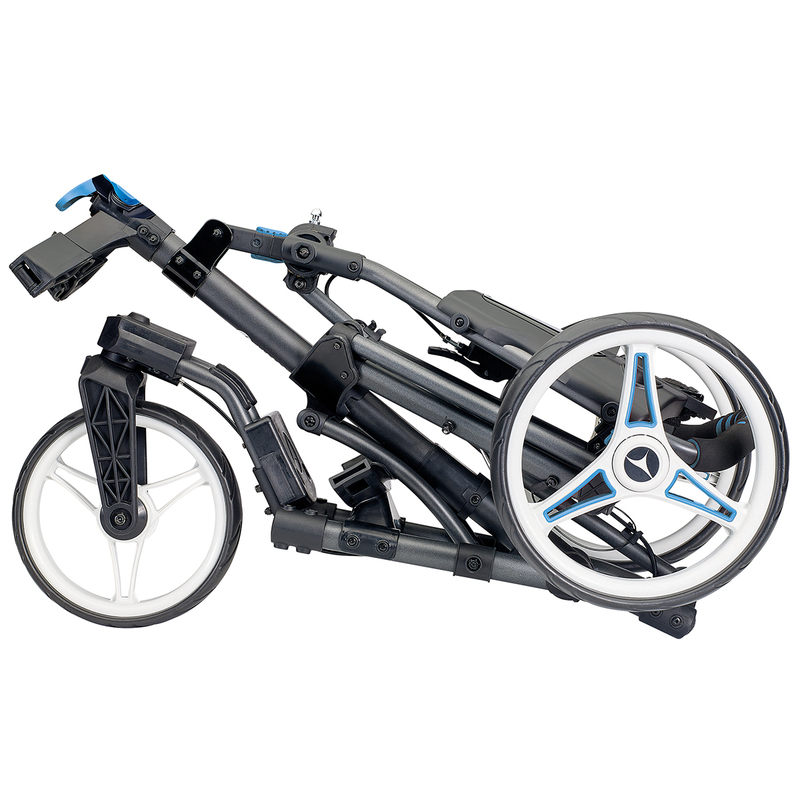 This trolley has adjustable bag supports to suit various sized bags and is EASILOCK™ compatible, plus can be folded to the size of 830 (L) x 460 (W) x 530mm (H) for easy transportation.